Each year, AMTA recognizes outstanding performance by individuals and companies furthering AMTA’s mission to advance the understanding and use of membrane technology to treat municipal, industrial, commercial, agricultural and waste waters. Join AMTA in applauding this year’s award recipients. 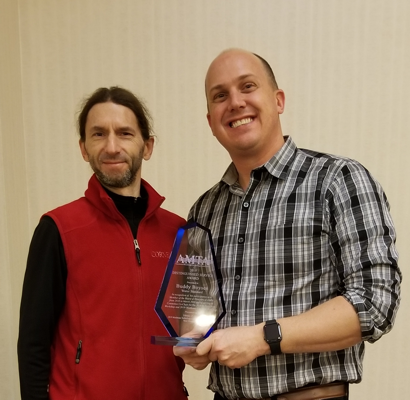 Presented to Harold Fravel by Brent Alspach Given at the discretion of the President of AMTA to acknowledge the individual who has made significant contributions to furthering the mission of AMTA. Presented to Patricia Burke, Kenkere Channabasappa, and Clarence William “Bill” Saltonstall Given in recognition of pioneering and/or lifetime contribution by an individual to water supply or water reuse improvements. 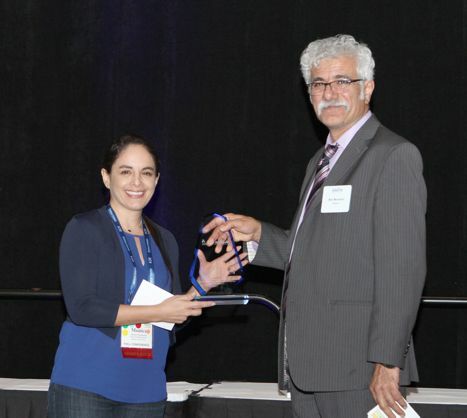 Presented to Yuliana Porras Mendoza, accepted by Scott Irvine Given in recognition of contribution to water supply improvement through individual effort in desalting or water reuse by an AMTA Member. 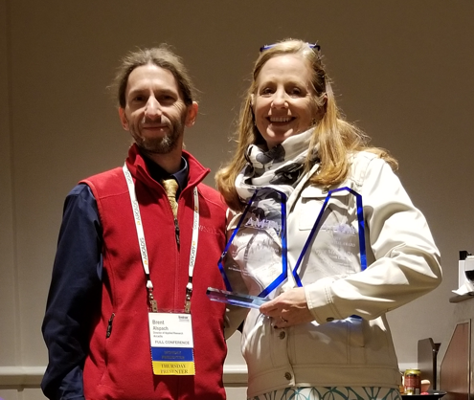 Presented to Julie Nemeth-Harn and Greg Metternich Given to acknowledge individuals that have made significant contributions to the growth and development of the American Membrane Technology Association. Presented to Jason Gillespie by Harold Fravel Given in recognition of contribution to water supply improvement by an individual working at a desalting or water reuse facility. Presented to The Town of Jupiter Utilities Water Treatment Plant by Harold Fravel, accepted by Rebecca Wilder Given in recognition of an outstanding water/wastewater facility that incorporates membrane technology, high efficiency, and an environmentally conscious approach. 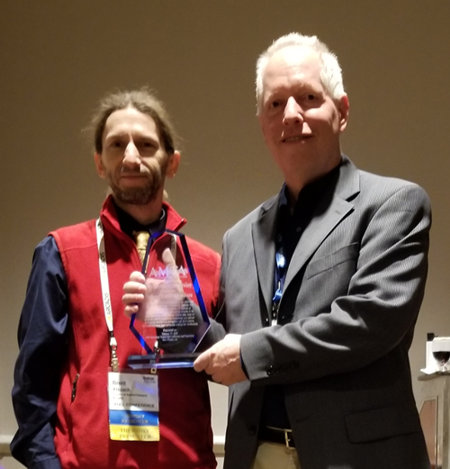 Presented to James Vickers Given in recognition of outstanding preparation and presentation of a technical paper at an AMTA/AWWA Membrane Technology Conference and Exposition. Presented to Quantum Wei (Additional Awards presented to Carlyn Higgins – click photo to view all recipients) Given in recognition of outstanding preparation and presentation on a technical paper by a Student at an AMTA/AWWA Membrane Technology Conference and Exposition. Presented to LANXESS Sybron Chemicals, Inc. Given in recognition of a superior exhibit booth presenting a clear message on the importance of water treatment at an AMTA/AWWA Membrane Technology Conference and Exposition. Presented to Ian Watson by Harold Fravel Given in recognition pioneering and/or lifetime contribution by an individual to the field of membrane technology.